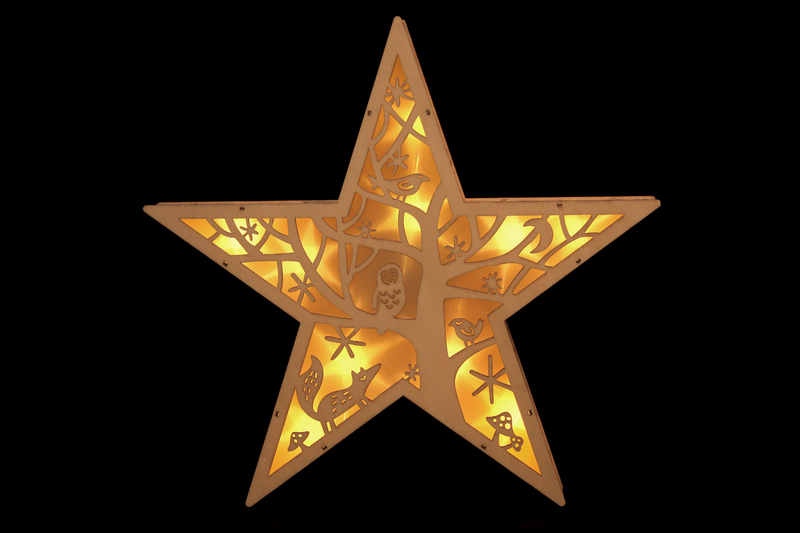 Winter Star Light is a wooden hand-crafted LED ornament which creates an interesting light display. Hang in multiples on a wall in the living room. Can also be used on a table or to brighten up the window ledge on a dark winter's night. 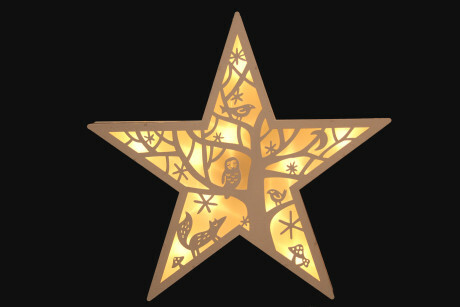 Can be used in a child's bedroom as a way of leaving on a friendly light to assist the child falling asleep. 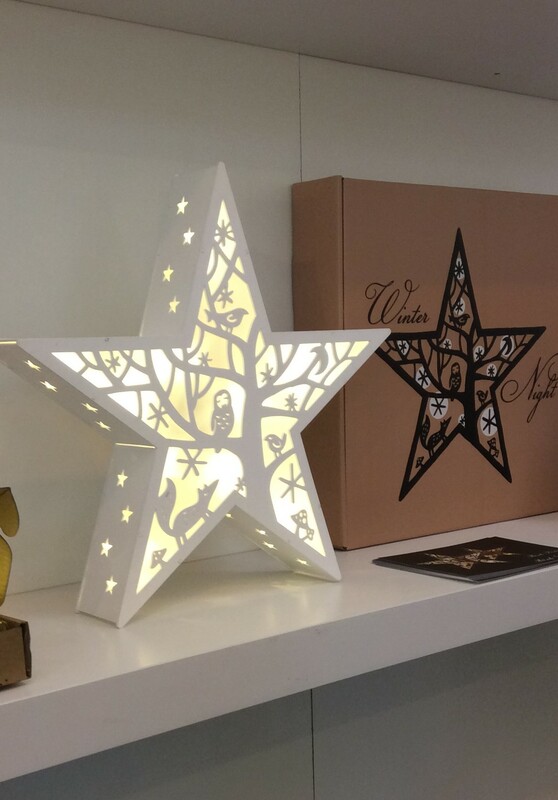 This On trend Scandi-Chic light is perfect to add cosiness to your décor around Christmastime. The wooden surface of the Winter Star Light features intricately carved woodland creatures created by internationally renowned designer and illustrator Mariko Jesse. Contains 10 warm white LED bulbs. Available in two colour options - White and Natural.